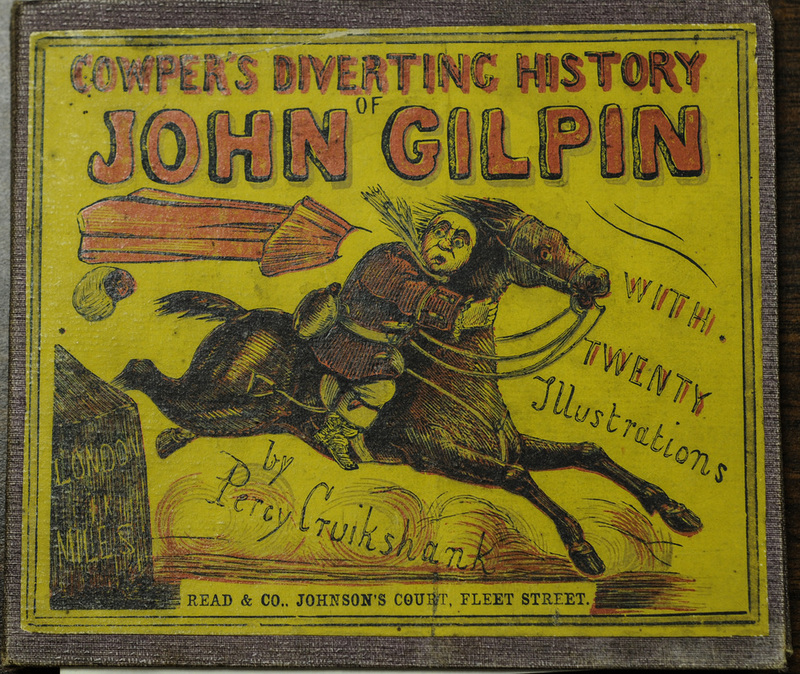 All images from: Cowper, William. 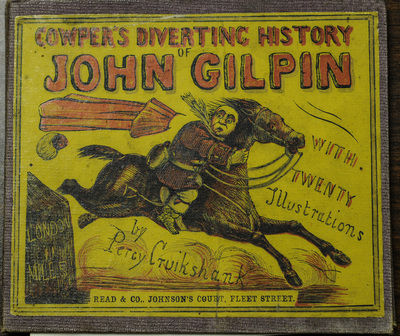 Cowper's Diverting History of John Gilpin. London: Reed & Co. . This panorama contains twenty hand-colored lithographed scenes. "...hung a bottle on each side/to make the balance true." 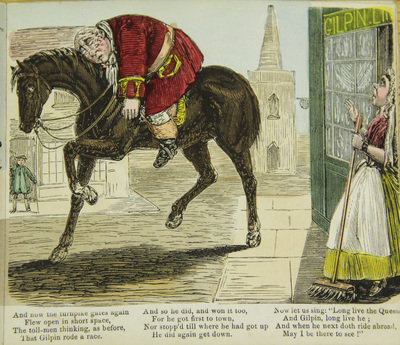 "Down ran the wine into the road/most piteous to be seen..."
"Now Gilpin had a pleasant wit/and loved a timely joke..."
"And when he next doth ride abroad/May I be there to see!"